Your choice for custom orthopedic bracing. 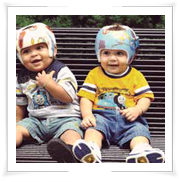 Corrective plagiocephaly helmet therapy for infants. Simple to complex orthotics and custom bracing solutions. Children and adults of all ages who face challenges with functional abilities come to Appletree for custom orthopedic bracing to address their special needs. Together with clients and their families,our certified orthotists works closely with doctors, physiotherapists, and occupational therapists as an integrated member of the client’s allied health care team. Our goal is to provide bracing solutions that enable clients to meet their goals and maximize the outcomes of their treatment plans. 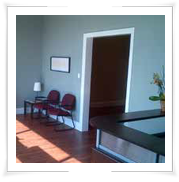 Our new clinic has been specially designed to meet the needs of our clients and staff alike. With flexible hours and plenty of parking, we are your convenient local choice. With more than 30 years of combined experience, we provide a complete range of orthotics that maximize treatment outcomes for our patients. Our new digital Star Scanner allows us to provide complete on-site care to our infant patients. Completely custom solutions are developed without the need for plaster moulding or a trip to the hospital. 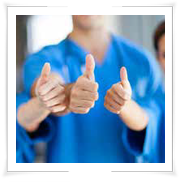 Our TeamCertified specialists with more than 30 years of custom orthopedic experience. Our FacilityFully accessible clinic serving Greater Toronto, Hamilton, and Halton Region. FundingWe are a registered provider for public and private financial assistance programs.